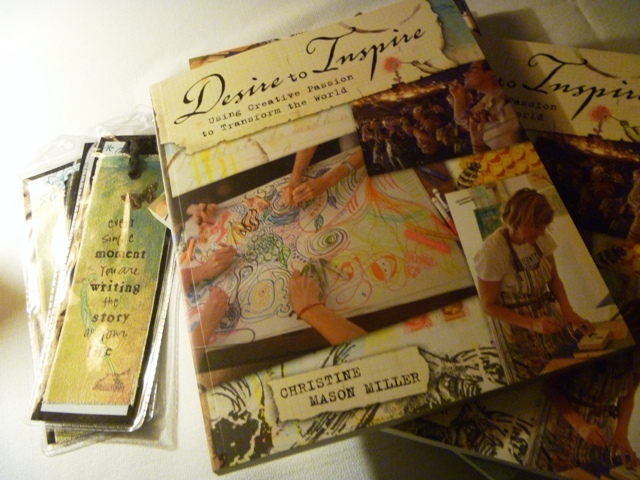 Last week, I had the wonderful opportunity to attend the launch of Desire to Inspire, a book by my ridiculously talented friend, Christine Mason Miller. 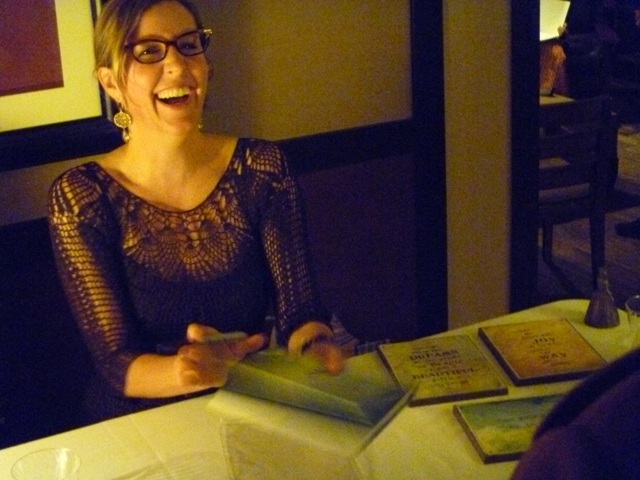 I couldn't have been happier for her, not just for the beautiful launch party (it really was beautiful...held in the open space of an Arts & Crafts-style boutique hotel with exposed dark wood and hardwood floors and a stone fireplace, the room dimly lit with the glow of candles and full of of people bursting at the seams with enthusiasm mingling throughout...oh, and a lovely prosseco was served too!) but also for her success at getting a publishing deal. GETTING A PUBLISHING DEAL. As in she pitched the book idea to a publishing house, they liked it, she put the book together, they published it, and now it's out there! As any writer will tell you (me included), a publishing deal is the END ALL of end alls. And, as any writer would agree, we would be lying if we didn't admit to being a little ENVIOUS of such good fortune. There's nothing wrong with envy. In fact, it can be a great motivator. It's jealousy that you have to look out for. But that is one thing I haven't felt in a long, long time (which says a lot about the mental place I am in right now). And it certainly did not come into play when Christine first told me about her book deal and then later when she showed me the galleys and then when I actually got my hands on the final product at the book launch. All I felt for her was joy and happiness. And weirdly, I also felt a little pride. I wanted to shout from the rooftop, "HEY EVERYONE...THAT'S MY FRIEND, CHRISTINE, AND SHE JUST PUBLISHED A BOOK! I HAVE A FRIEND WHO IS PUBLISHED!" On the ride home from the book launch, I realized that the friends I hold the closest to me right now, the ones whom I emotionally invest in the most, are ones who make me proud. They are the people who live lives with purpose and integrity. They are the people who are honest with themselves--even when it's ugly. They are the ones who expect more from themselves than anyone else. They make no excuses. They share. They are actionable. And they revel in others' success as much as their own. They are the people I would have no problem swapping lives with because I would consider it an honor--and incredibly fascinating--to be them for a day. Not every single person in my circle of friends falls into the above category. But the handful that does serves a purpose: when they experience success in some way, shape, or form, I am better off as a person. I am better off because, while we may be on different journeys, we walk the same path. And that path is beautiful, energizing, rich, and full of opportunities. How could one not benefit from that? So, yes...I am proud of friends when they get a book published, when they save up enough money to buy land to build a house on, when they get high praise from a colleague at work, when they are asked to teach a photography class, when they get their master's, when they make a major lifestyle change for the better, when they work their butts off and reach a goal, when they take the high road in a difficult family situation--all these things make me want to shout from the rooftop, "HEY, THAT'S MY FRIEND! I KNOW HER!" Can you hear me now, Internet?! !